Yoga is an activity with low impact on the joints which increases flexibility, stability, balance and core strength for people of all ages. For elderly people who often have difficulties maintaining balance, this is especially important as it can help prevent falls or other accidents. Yoga can be practiced by everyone and depending on your ability you will start accordingly with certain exercises. 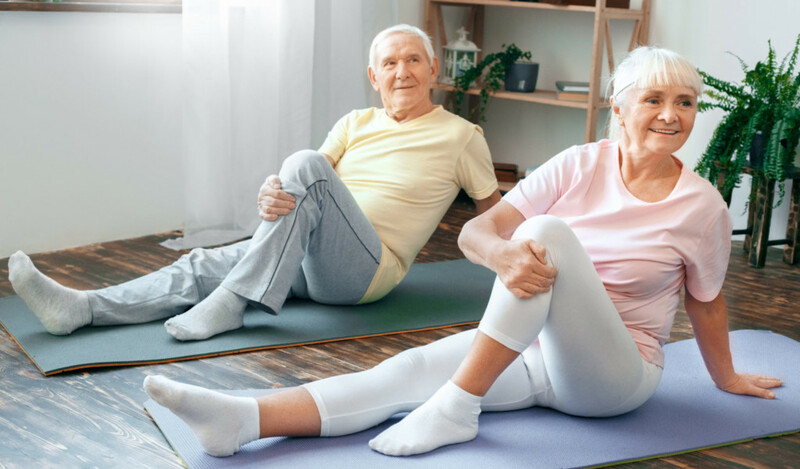 As with any new exercise routine, it is essential to train in a facility with certified instructors and make sure to consult with your doctor before starting. Just Like Family is a home health care provider in Naples always focused on the well-being of clients, trying to help them stay independent in their own home. Our caregivers can assist in conducting activities like walking, and yoga to help you improve your health. Please note that any activities you or your loved ones participate in should only be started after consulting a doctor. Disclaimer: The blog entry above has been created utilizing different online sources. The blog entry has not been verified by a doctor. Please note that conducting the above-mentioned activities is at the individual’s own risk and responsibility. Please always consult a doctor before exercising or doing any physical activity, especially to avoid injuries or harm due to unknown preconditions. Just Like Family is not responsible for any injuries while conducting the above activities.